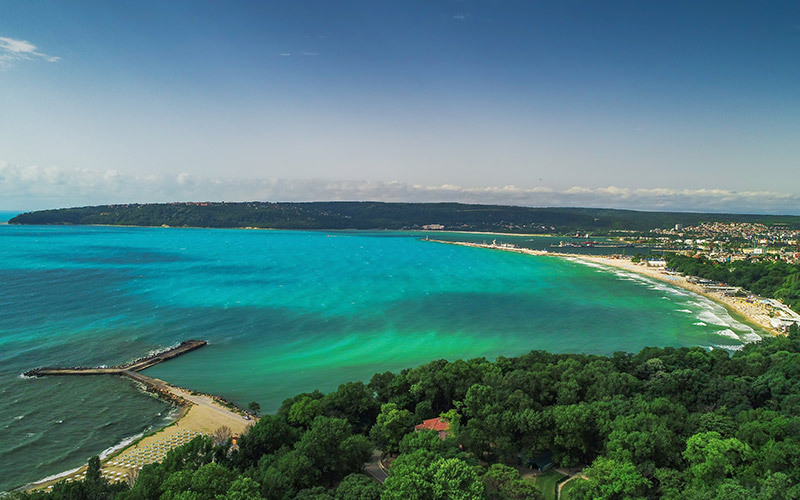 Varna is one of the most beautiful seaside resorts on the Black Sea and a place that should be on the list of every sea lover. It makes for a perfect summer getaway. It’s packed with nightlife, entertainment, great beaches, culture and delicious food! One thing is for sure – if you haven’t seen much of Varna before, prepare to fall hopelessly in love. Not so convinced yet? 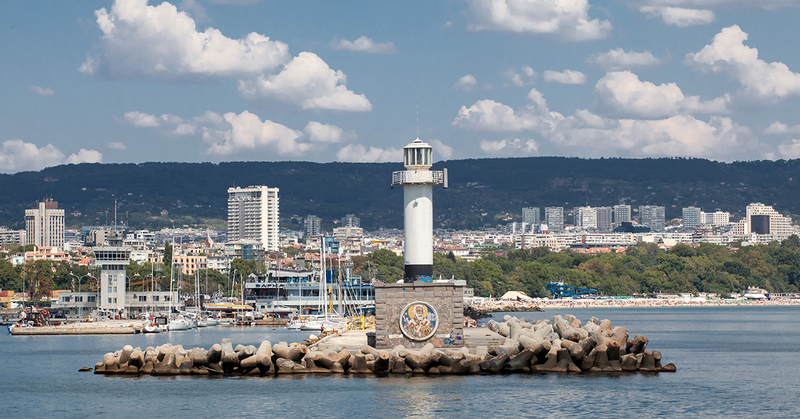 Here are the top 5 viewpoints in Varna where you can enjoy the city in all its splendour! 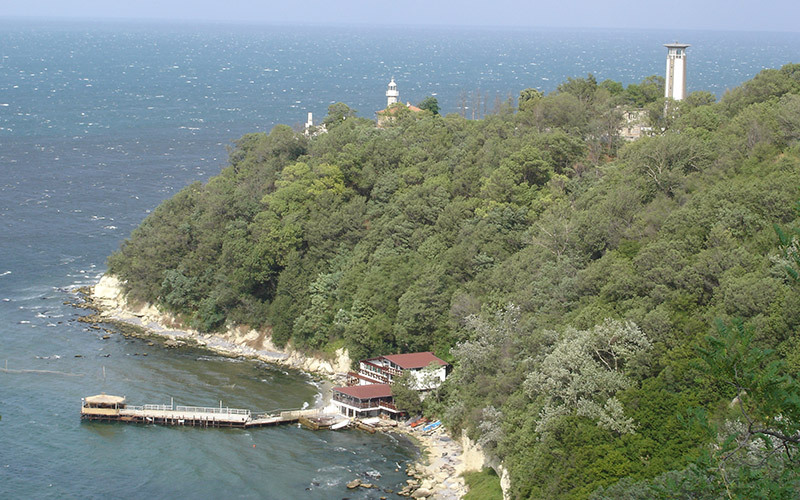 The panoramic view “Galata” is located about 2 km from the centre of Varna. It offers one of the most beautiful views of the entire city. 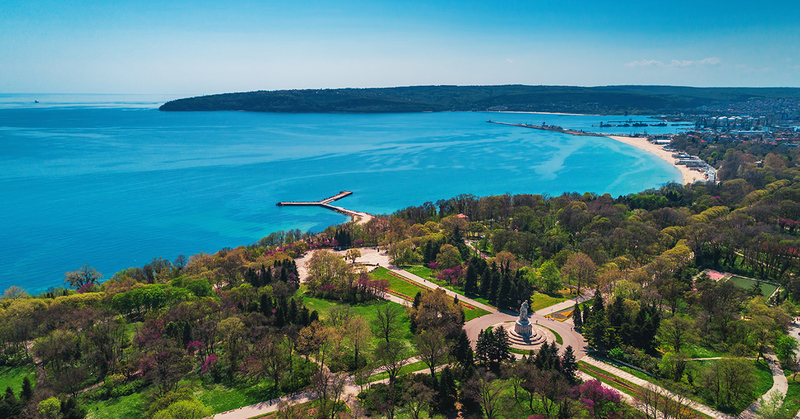 It’s one of the few places where you can go and enjoy not only the beauty of Varna but also quickly escape from the hectic lifestyle of the big city! It’s a popular spot for recreation for the locals who go there to relax, socialize and enjoy the infinite beauty of the seaside. For better visibility of the panorama, there are benches and binoculars on site. 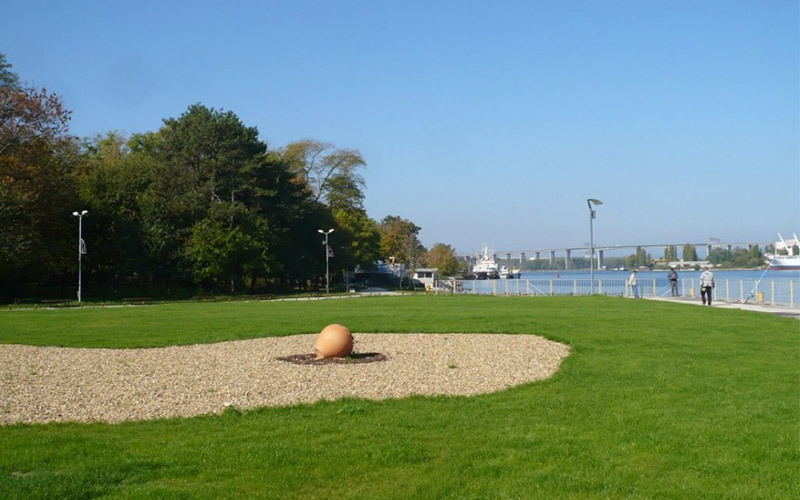 The Sea Port in Varna is a great place for walks and relaxation. 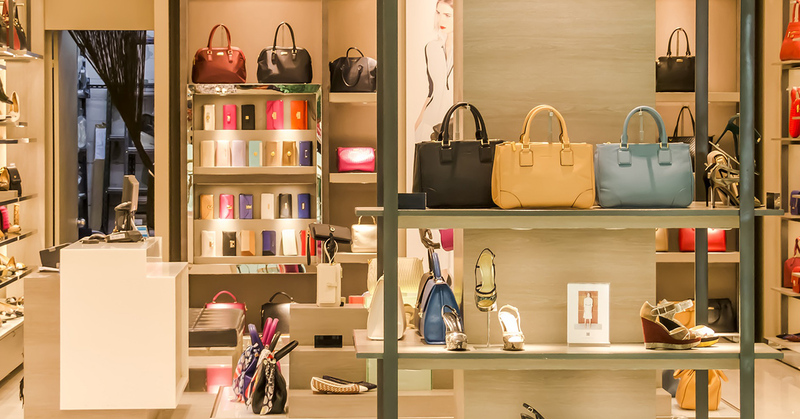 There’s a pedestrian zone inside the port complex with many shops, cafes, restaurants, night bars and yacht clubs. 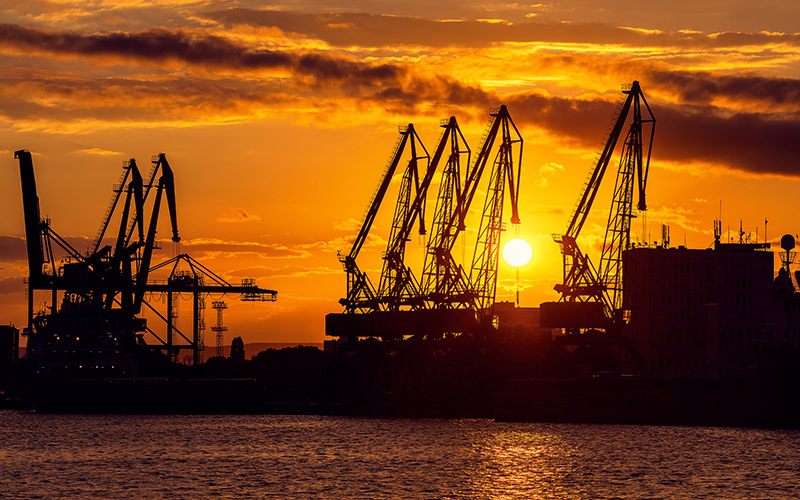 You can take a walk around the port and watch the sunset from there. Why not try some fresh seafood while there? Captain Cook is one of the best seafood restaurants in Varna with a nice view of the sea. They have a rich menu with an interesting fish selection, tasty appetizers and affordable wine list. Try their Black Sea fish soup, it’s the best! You can find the St. Nikolas Lighthouse at the end of the pedestrian zone inside the Port Station. It’s no doubt one of the best places in Varna. 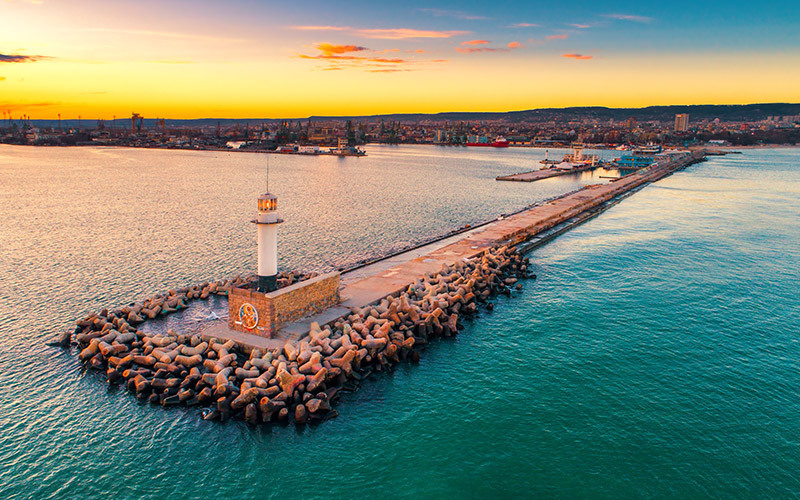 There’s a wonderful view of the Varna Bay and if you stand there at the end of the day it’s very possible to see the family of dolphins living in the bay! 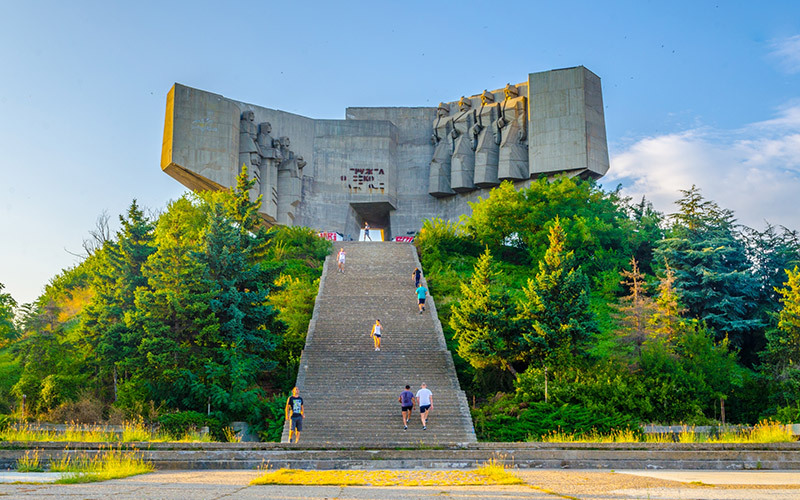 This the largest monument in Varna and is simply referred to as “The Russian Monument”. You can find it on top of the hill ‘’Toupe Tepe’’, 110 meters above sea level, and it’s one of those places that just has its own spirit. The impressive monument symbolizes the friendship between Russia and Bulgaria. 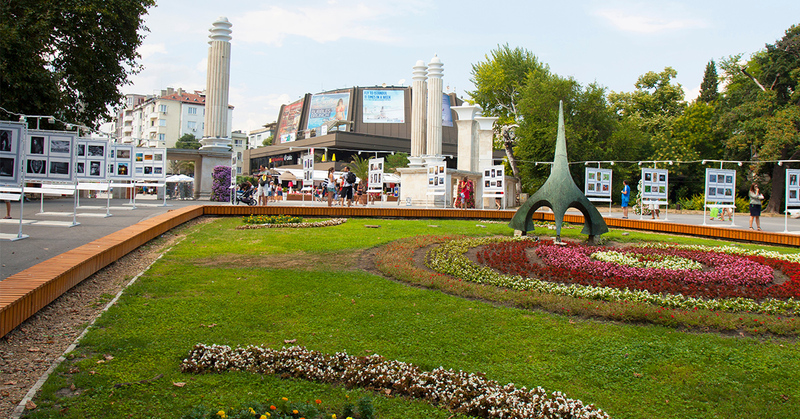 The Sea Garden is an emblem of Varna and the local’s preferred place of visit. At the very beginning of the Alley of the Sporting Glory, you’ll find Villa Roma from where you have some amazing views of the bay. Along the Alley, there are also several places where you can see Cape Galata. One such place is Villa Burov – a great restaurant and a popular place for events and parties. A new recreation area was created along the Coastal Alley in Varna, which is accessible to all residents and guests of the city. The area is full of greenery, benches and stairs leading straight down to the beach. The alley is also packed with cafes and restaurants that offer great views of the sea. The restaurant By The Sea is the perfect place to spend an evening. The terrace stretches out into the sea and it’s very cosy and romantic. You will no doubt love the local fish specialities they offer! The park of Asparuhovo has a nice pedestrian alley overlooking the canal through which the cargo ships enter the port. The view is very pleasant, especially if a ship passes, as there is a great contrast in the scale between the surrounding environment and the size of the ship, which fills the channel almost entirely. The Park was renovated in 2017 and the residents of the Asparuhovo district can now enjoy a new area for recreation and sport. New benches and fences were placed and many new trees were planted. There is also a play area with a table for tennis and a playground with fitness equipment. What about a restaurant with a jaw-dropping view of the whole city? Blue City Restaurant is located on the 11th floor in the business building of First Investment Bank. It has a nice summer terrace, which reveals a wonderful view of the sea and Varna! They offer a rich and tasty menu for the evening, as well as a lunch menu. It’s not by accident that Bulgarians refer to Varna as the Sea Capital of Bulgaria. It’s modern, vibrant and full of beauty waiting to be discovered. Perhaps it’s time to start planning your next trip?